For a show about past lives and reincarnation, FOX’s show has certainly had a very short lifespan. With poor ratings and reviews, the network has cancelled Past Life after three episodes. Inspired by the book, Reincarnationist by M.J. Rose, Past Life revolves around past-life detectives who try to discover if a person’s problems and visions stem from traumatic events in a former life. 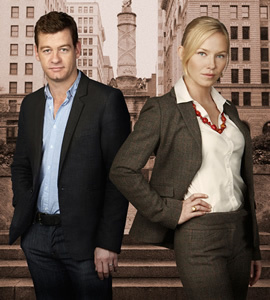 The series stars Kelli Giddish, Nicholas Bishop, Ravi Patel, and Richard Schiff. FOX had originally ordered 13 episodes of Past Life but, in mid-October, cut that to just seven installments. The official reason given was that the network had a plethora of mid-season programming but the move sure wasn’t a sign of confidence for the project. The TV series got off to a poor start with a special showing on Tuesday, February 9th. Past Life averaged 8.32 million viewers and a 2.8 rating in the 18-49 demographic. Those numbers aren’t bad on their own but they do represent a loss of about 70% of the American Idol lead-in audience. What’s more, a significant number of people stopped watching before the Past Life episode had finished. An average of 9.6 million were watching the first half hour but only 7.14 million watched the second half. Should Past Life have been cancelled? A couple days later, Past Life debuted in its regular Thursday night timeslot. Predictably, it was pummeled by the competition. It came in at fourth place in its timeslot with just 5.3 million viewers and a terrible 1.4 in the demo. Last night’s episode was even worse. Per the overnight ratings, Past Life registered just 3.9 million viewers and a 1.1 in the 18-49 demographic. That’s particularly disappointing when you consider that most of the other networks were in repeats. American Idol will be expanding to Thursday nights for the next three weeks and run at 8pm. Rather than give more time to a sinking ship, FOX execs have decided to pull Past Life and replace the drama with episodes of Kitchen Nightmares. Nightmares will continue to air on Friday nights but those episodes will be repeats. On April 1st, original episodes of Bones and Fringe will take over on Thursdays. New episodes of Nightmares will then resume on Fridays. The network says that the remaining four episodes of Past Life will surface at some point in the season but, given their overflow of successful programming, that doesn’t seem all that likely. What do you think? Was Past Life worth watching or did it deserve to be cancelled? Do you think FOX will really air the remaining four episodes? It seems any intelligent shows get canceled. I think a more progressive station needs to pick this up. I was looking for it when I stumbled on this article. Very disappointed! I am so angry that past life is cancelled. I wish it came back, they don’t even care about the people who do like the show. I think this show show be reinstated bc I love this show and want it to come back. I hate that it got canceled. I was in a focus group that showed the pilot for Past Life about 4-6 months before it aired. Quite honestly, the majority of the group was not impressed with the show, including myself. This show was doomed to fail. Its too bad the network didn’t try it on a different night since the competition was pretty tough. I only had a chance to catch a couple of the episodes and I enjoyed the show. I’d love to see the show get another chance. I really enjoyed the series of books by M.J. Rose that the show was based upon. Alas, like all great books, the movie/show is never as good as our own imagination. I thought it was a great show. Im just now checking to see what happened to it so I’m still thinking about it! !